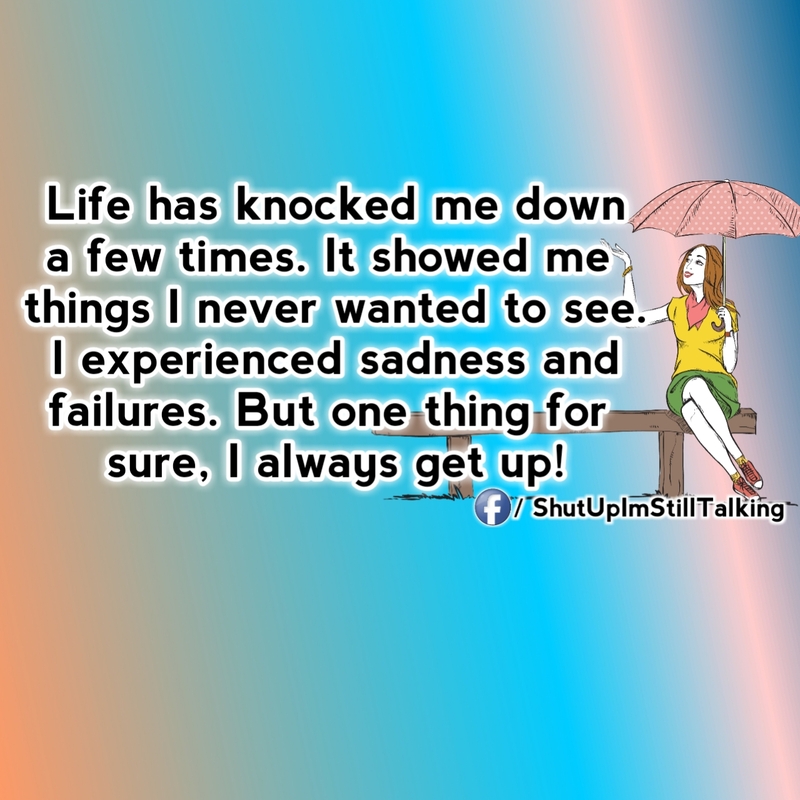 Life has knocked me down a few times. It showed me things I never wanted to see. l experienced sadness and failures. But one thing for sure, I always get up! Pick yourself up dust yourself off and start all over again. It has had it's good times and bad times but through it all I.loved and was loved for many years I have no reason to question what my LORD has given me and that I will never doubt my Faith he showed me what life is about. Thanks God..for giving me the strength to stand up again. Stand up always and fight to get back up picture/image is an Inspirational Stuff to Inspire and Motivate You. You can download pics by just clicking on the Images. Thanks for visiting Truth Follower an online place for huge collection of inspiring pictures, quotation, and Sayings Images. If you like Stand up always and fight to get back up, Please Share with friends and family on Facebook, Twitter, and Pinterest.